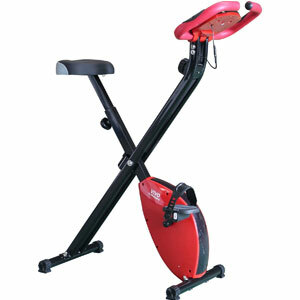 Does The Vivo X-Trainer Folding Exercise Bike Meet The Needs Of Casual At-Home Users? The Vivo X-Trainer Folding Exercise Bike is a cute little exercise bike that looks as though it was designed for the beginner user, rather than the fitness fanatics with big goals in mind. This is not your high-end, gym-quality option with a vast range of workouts, features and goal tracking. Instead, the sales pitches for this model focus on the ease of use and comfort for at-home cycling. Is this folding model able to provide a decent workout, or is it all a little bit simplistic.